go1984 provides an integrated web server that can be accessed via TCP/IP from the LAN and Internet. 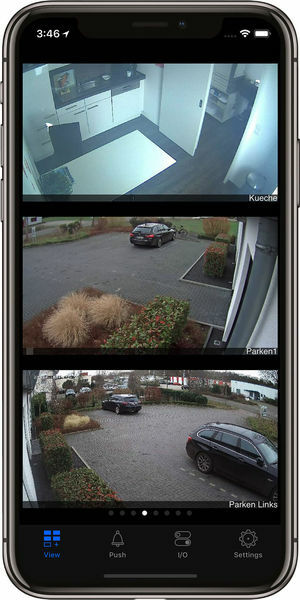 This server allows you to access live images and recordings, as well as control PTZ cameras via all standard browsers or the free go1984 Desktop Client. Suitable applications are also available for mobile devices such as iOS device, Android device or Windows 10 Mobile device.